Benefits of Hiring a Moving & Storage Service Provider. Moving is a daunting and stressful task. There are cases when things may go as well as you’ve planned, but there are also situations when your moving project turns into a major headache. One of these situations is when you have to move from your current home, but your new one is not ready yet. You will be amazed to find out how often this happens. The reasons are many: misunderstandings between owners, delays with the payment, people did not move out of your new home, etc. What should you do? Your salvation comes with moving & storage service companies. A company such as Rhino Movers can easily accommodate all your belongings, for as long as you need, in their specially designed storage facilities. Located in San Diego, our company proves to be of real help for many people on the move. Besides the fact that they can offer storage for your items, they also specialize in moving services. Here are some benefits you get when hiring a true moving & storage service provider. Moving & storage service providers are doing this for living, so rest assured they know their business. After so many years of service, they have developed a reliable and complex system that assures you of a smooth and stress-free transition. There are many moving & storage companies that offer free estimates for your moving project. Knowing the exact cost for your move helps you manage your budget. However, not all companies provide accurate estimates. Many will try to lure customers with cheap prices, but their services are poor and unreliable. A true moving & storage service provider never gives a quote over the phone. They will send a technician to inspect your place, the items you’re about to move, and will also take notes on your destination, preferred routes, etc. By doing so, they can offer you a proper estimate which is bonded and won’t change during the moving process. Even if you decide to pack the items yourself, hiring a moving & storage service still proves to be very helpful. What if your boxes won’t be enough? What if the packages you have are not suitable for fragile items. A true moving & storage company is always prepared for these situations, and they will make sure you have everything you need in order to properly pack your things. Movers are well trained and experienced in moving big and heavy items without getting hurt. They can safely carry, load, and unload beds, fridges, TVs, pianos, big pieces of furniture, etc. If you try to move these things yourself, you may end up damaging your items or even worse, injuring yourself. Your moving process will go as smoothly as possible if you choose to hire a moving & storage service. 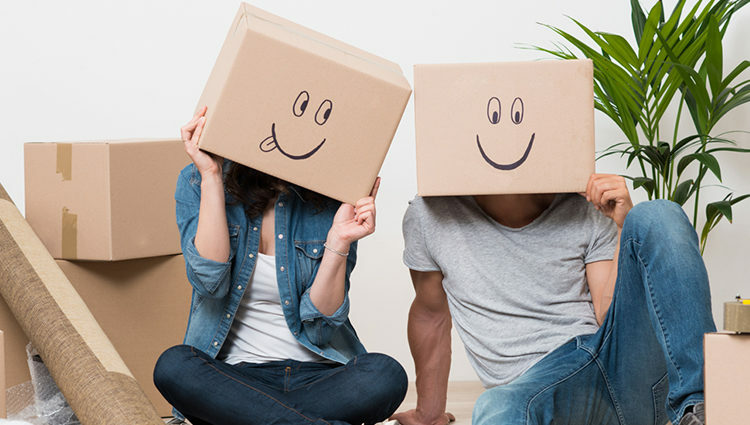 The movers will do all the work while you can attend to those really important things such as saying goodbye to your neighbors, preparing yourself for traveling, etc.